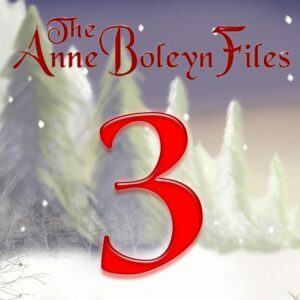 I hope you’ve enjoyed treats 1 and 2 from the Anne Boleyn Files Advent Calendar. If you haven’t enjoyed yesterday’s treat then don’t worry, it’s still there! It was from author and blogger extraordinaire Beth von Staats. Today’s treat is from my dear friend, author Adrienne Dillard, and I know you’ll enjoy her contribution. Simply click on the number 3 or on the link in the cover image of this website. I have lots more Tudor treats for you so do remember to come back on a daily basis! Thanks for sharing your pictures. I loved my visits to Hampton Court, especially the kitchens. The fireplace really does show how much it was used constantly, just look at those smoke marks up the wall. The King had his own personal kitchen, but oh boy did Henry go to town on extending those kitchens for the rest of his Court when he took over from Cardinal Wolsey who lived and dined in style as it was. I also thought how vast the kitchens were on my visit to the palace, but then they had to be catering for the King and his huge company, I bet it was a right old hustle and bustle so noisy and the spit boys turning the pigs and joints of venison, shouting and cursing from the cooks and the sweat and smoke – the maids running hither and thither but I bet it was wonderful to, now those big old kitchens that stand in countless old mansions castles and palaces all over Britain are eerily silent, merely ghosts of what they once were, its great that some are preserved with the original fireplaces and some equipment too, in the form of the old pots and pans and storage jars, butter churns and pestle and mortar etc, it is educational as well for young girls to learn about domestic history and how hard work was for the staff in earlier times, we have it so easy now, there are blenders and juicers and a whole plethora of gadgets to make life so much easier for the modern cook, but back in Henrys day and for centuries after to prepare a meal took a lot of effort, more so a banquet fit for a King. We went three times in one holiday and twice in another in the same year and on one visit it was a weekend when the kitchens do a demonstration, dress up and cook the Tudor food and answer questions. It was very busy because we landed in July 2009 for the 500th years celebrating the birth of Henry Viii, so the palace had more visitors than normal. It was great seeing the way everything worked and the food smelt delicious. There were a few weird things as well, but as the cooking curator (my terminology) who was in charge said they ate everything that they could catch. Of course today you can’t cook dolphins in English kitchens but the Tudors did. They also combined fish with meat to make various mythological beasts as prize dishes and they had courses that consisted of several dishes. You didn’t eat mountains of food but took dainty bits from numerous dishes that you selected. The rules at the table were astounding. We went to Mary Arden Farm this Summer in Staffordshire and the gentleman farmer showed us how they ate the midday or main meal. The list of things you can’t do at the table just went on and on. No spitting, swearing, belching, scratching, going to the loo, farting, crude language, no elbows on the table, no speaking with your mouth full, no dirty jokes, no slurping, no dribbling, no sneezing, no guzzling sounds, ladies cover your hair, gentlemen remove hats, no children to speak without permission, no drunkenness, no raising your voice or disrespectful talking, so on and so forth. They had fancy lace table cloths, more than one, just for show and their servants ate with them because this may be their only decent meal of the day. Of course, in the palace Henry’s servants didn’t eat with him, but his nobles attended him as he ate in what was a showcase performance. It was an elaborate affair, with the best plates and trenchers and dishes and much ceremony. It was wonderful seeing how things were roasted on the spits and the ovens. Those fires going all the time must have really kept the fuel being used up and the heat must have been intolerable at times. In their heyday, however, I bet it was really lively in there and the servants rushing around must have been very atmospheric. It was an art to be able to get the food up to the upper second floor or higher without being seen. A system of backstairs and back passages did the job very well.